Gold 4 Gotcha4Life is about mates taking on the challenge of the Coolangatta Gold Iron Man to improve the mental state of our men and fight the battle against suicide. The statistics tell the story - 6 Aussie men take their own lives every day. Suicide is the biggest killer of men aged 15-44 years. 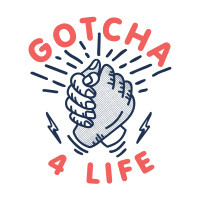 Gotcha4Life plays a key role across the broad spectrum of mental health from funding Lifeline crisis support scholarship programs, to conducting in-school programs aimed at smashing the male stereotype and educating boys on how to start a real conversation and where to find help. Absolutely brilliant. Well done Pete & Rob and all your support crew and team.